Yay, UFO #1 is complete! Well, almost. I still have to cut some stray strings, take my seam ripper to some basting stitches, and hang it on the wall. This design is called Goose Tracks and is by HoopSisters. You actually piece and quilt in the hoop as you go. 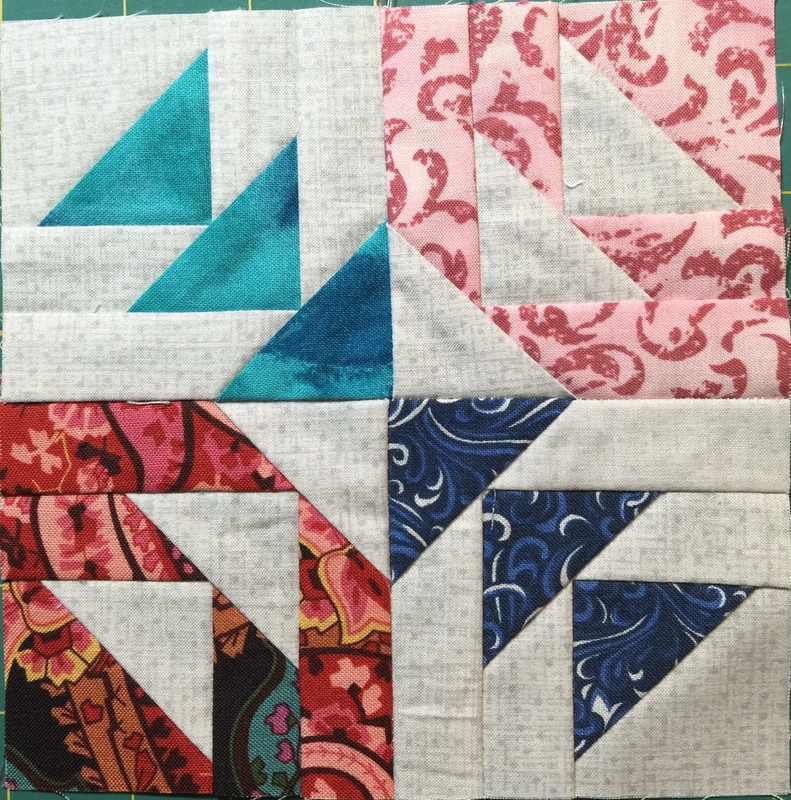 I started this as a block-of-the-month project at my LQS in Nov 2011. We went through September 2012, then I still had to do the borders and put it all together. Overall, I like how it turned out. 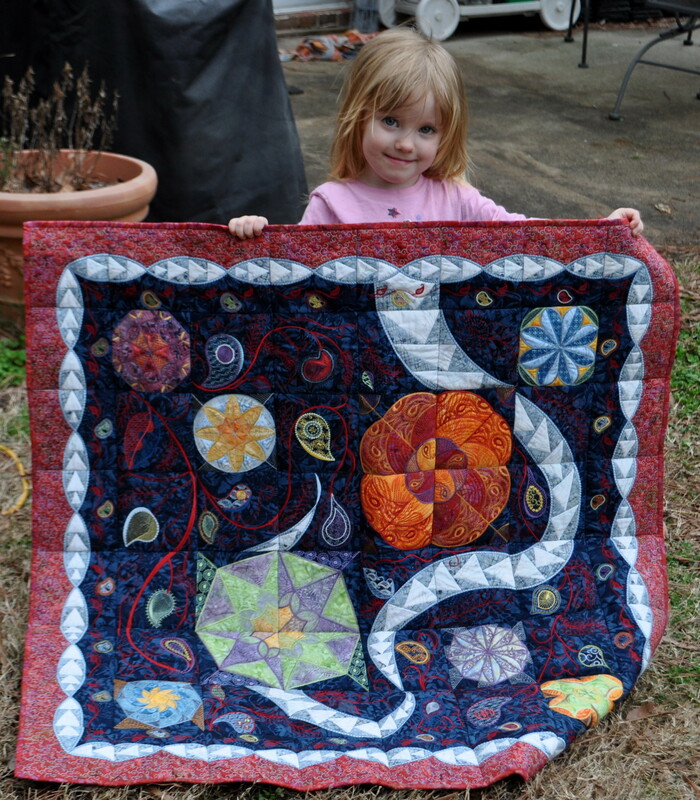 Before I started the quilt, I was really intrigued as to how the piecing and quilting in the hoop worked. Once you do one block, it’s pretty easy to understand. 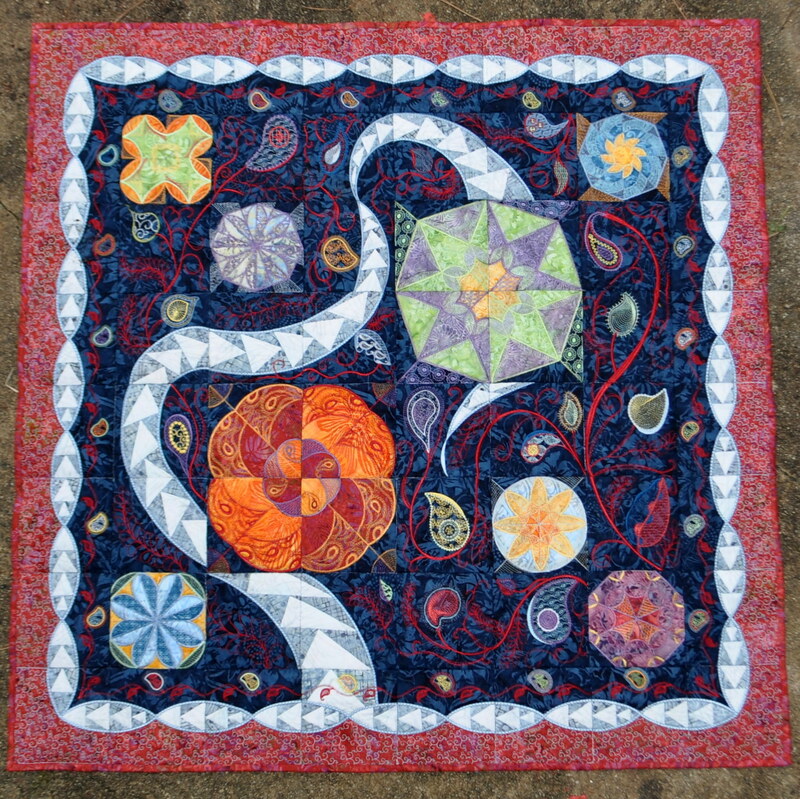 I have another UFO from HoopSisters that is also on my list for the near future — it was the mystery quilt they released last year. So, I have no idea what it will look like since it is still a mystery to me. I had fun doing this, especially since we did it as a group and I met new friends; and it has a big WOW! factor just looking at it. 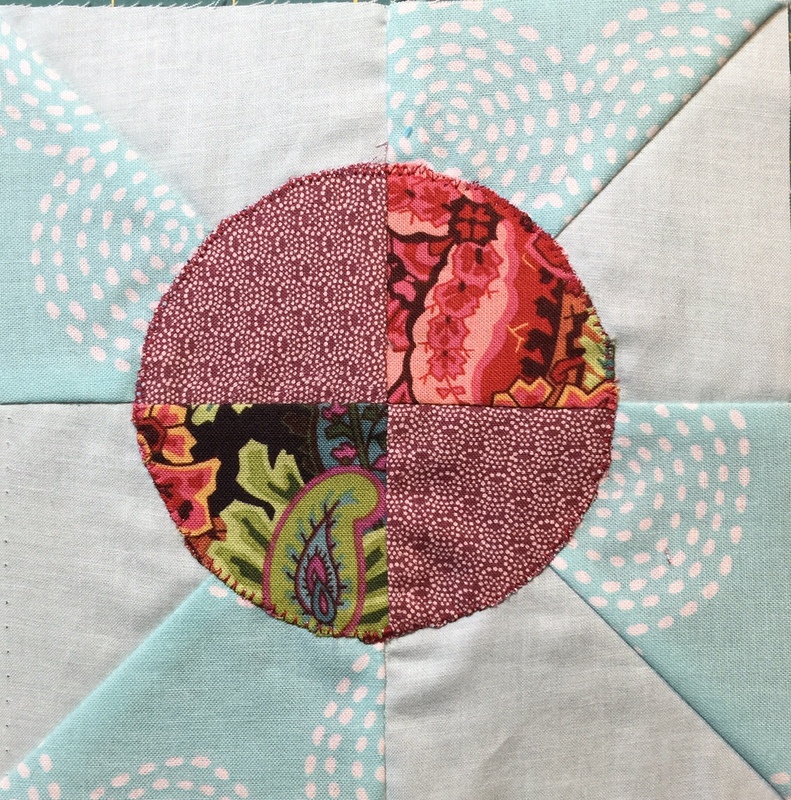 However, after the mystery quilt I will probably not do another HoopSisters design. I like their designs, but I felt as if my creativity was really squashed since I was only following along with the pre-designed software each month. 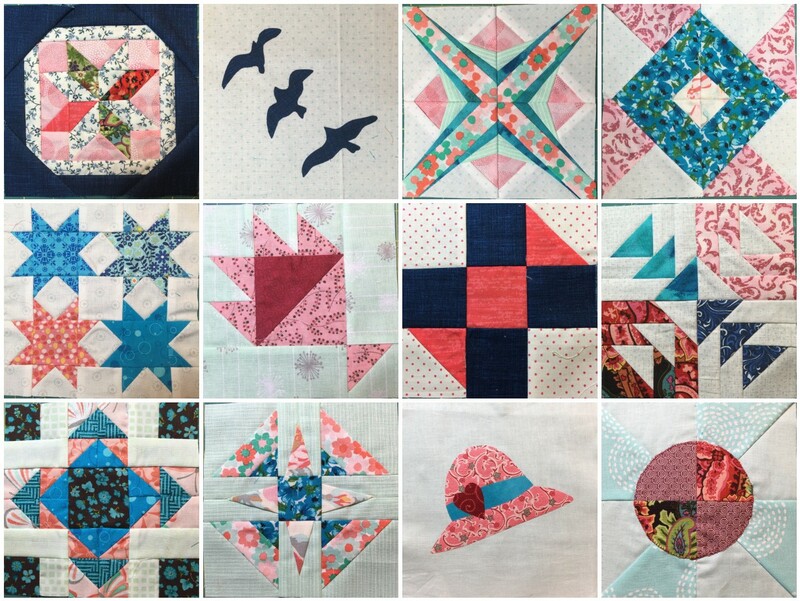 I think I would enjoy and get more satisfaction from continuing to sew and quilt my own designs. And, I am working on several already. I keep a graph paper spiral notebook handy most times and draw when the inspiration hits. If I can just get through these UFOs, I can start on some new stuff and that is where the real fun lies.